At Mitchell Sandham, we are committed to understanding your unique needs and providing you with insurance coverage that is custom designed to minimize risk and maximize value. Mitchell Sandham is a highly specialized, privately held insurance brokerage with long-term client and insurance company relationships. We have deep understanding of insuring Canadian companies and protecting the personal assets of the owners, partners and executives who run them. Our team of experienced professionals are dedicated to providing industry specific insurance coverage. We specialize in business insurance in a variety of sectors including manufacturing, construction, transportation, real estate, technology and professional services. We understand the unique risks your business faces every day, and we’ll help you prepare for whatever the future may bring. Group life and health programs are a fantastic addition to any business. They are an incentive to prospective employees and existing employees will appreciate your company’s efforts to assist in health matters. We take the guesswork out of putting together an Employee Assistance Program. We offer a variety of personal insurance options to high-net-worth clients through our Lifestyles Insurance Group. Our customizable packages can be tailored to meet your specific needs. We’ll always provide you with the best possible premiums so you can rest assured that your lifestyle and valuables are fully covered at a competitive price. Mitchell Sandham is one of the oldest and largest independently owned insurance brokerages in Toronto. Our story began with the founding of Bick and Gollings Insurance Brokers in 1966 by Ronald Gollings, and in 1995, Peter S. Mitchell and Norm Sandham merged their companies to create Mitchell Sandham. Since our earliest days, Mitchell Sandham has been committed to providing innovative insurance products through a team of experienced and highly specialized insurance professionals. As an independent insurance broker, we represent all of the leading national and international insurance companies. Today, we have more than 50 people in three offices across the Greater Toronto Area to serve our clients. We are 100% independently owned, and client-focused, with no outside insurance company ownership or influences. We operate with strong principles and are driven exclusively by the needs of our clients. Our employees are knowledgeable, experienced and highly specialized. 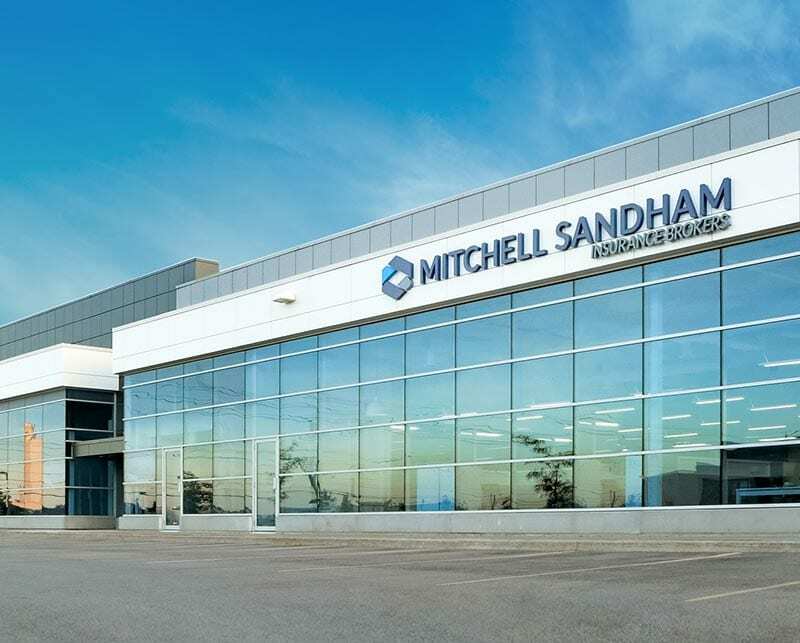 Every Mitchell Sandham employee is a dedicated expert in their specific business sector, with proven relationships and partnerships in the insurance industry. Our strong reputation and corporate culture is built on getting results for our clients. We work hard for our clients to get the best coverage and premiums available in the insurance marketplace and we take care so that every claim is settled timely, effectively and fairly.